I think I’ve bought 2 packs of six flakes and won with 4 of them! It took a while as the website kept on crashing which was really annoying, I wanted to see if I’d won! l-r: La La Land, Do Tell, Life On The A List, Fresh Squeezed. The lipsticks were really hard to photograph in the bullet but the swatches represent the true colours, I’ll post photos of them on the lips at a later date. As you can see they are super pigmented, this is only two swipes! 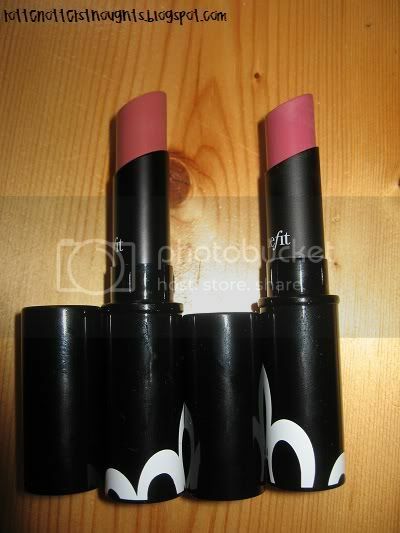 They are both really creamy and non drying on the lips. 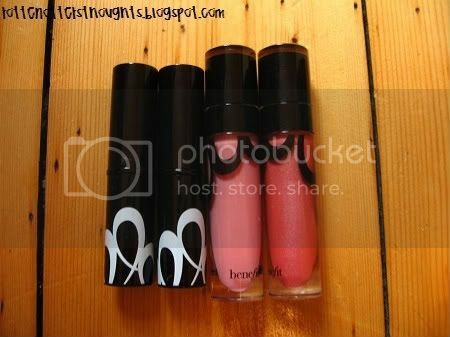 I already own one Benefit lip gloss which I love, the formula is great and these two are exactly the same! 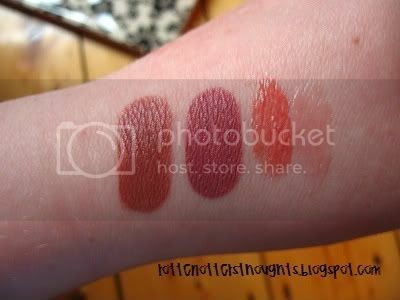 A list is less pigmented but looks great layered on other lipsticks. Fresh squeezed looks great on it’s own or layered and is a great colour for spring and summer. These both have shimmer to them but not chunky glitter. The only thing I don’t like about these is the wand, it’s a doe foot applicator but is longer than usual. I think these glosses would work better with a brush. Have you won any of the Benefit products?? These are lovely, I'm still to win my first lippie but enjoying all the flakes til then! Yum yum! @Ms. Wedgie, haha probably! It's going on for another couple of months so hopefully you'll win one! !